If your ready to get behind the wheel of the newest NYC Ferrari rentals give us call. Experience an Italian sports car like no other when you rent a Ferrari 488 Spider in NYC this weekend. An incredible machine to drive, the 488 Spyder is one of the most requested exotic car rentals in New York. The stylish exterior has been updated from the 458 Italia with F1-Inspired double spoiler and aero pillar to distribute airflow and increase downforce. Another cool feature is the massive large rear diffuser that is controlled by a computer that adjusts aerodynamics on the fly. If your going to rent a Ferrari then the 488 Spider is the way to go. A new convertible mid-rear engine sports car with a retractable hardtop which can be folded down in a matter of seconds transforming this stallion into a convertible. The 488 Spider comes equipped with the same 661 horsepower V8 turbocharged engine inside the 488 GTB. Paired with a 7-speed dual clutch transmission shifting feels instantaneous. The 3.9L twin turbo V8 launches the 488 Spyder from 0-60 in less than 3 seconds and has a top speed of 205 mph. Take a spin around the city that never sleeps in a shiny new red Ferrari 488 Spider rental. After you rent a Ferrari 488 Spider in New York no other exotic car rental will suffice. There are several different driving modes of the 488 Spider including Wet, Sport, Race, CT OFF and ESC off Mode. We highly recommend leaving the car in either sport or Race as it offers the perfect combination of performance and stability to keep the car on the asphalt. Due to the fact that this is one of our most requested New York Ferrari rentals we advise you to call at least two weeks in advance to to make sure that it is available for the weekend you would like to rent. 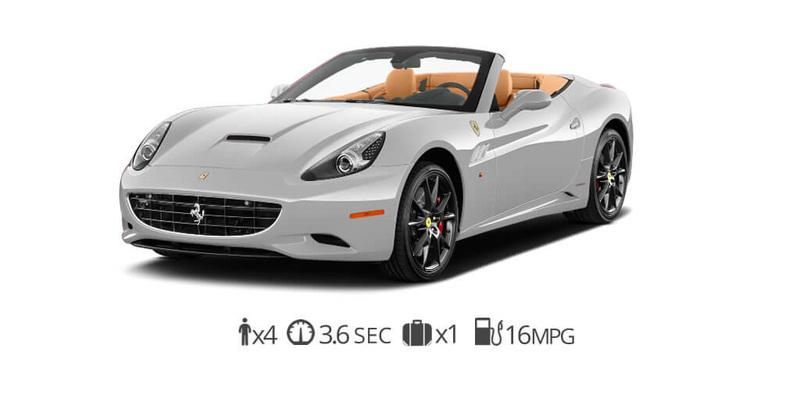 Our Ferrari rental service is a great way to experience New York. In order to rent a Ferrari, you must be over 21 with a valid drivers license and provide full coverage insurance. The 488 Spider cost $2795 to rent per day and requires a security deposit of $10,000. A small price to pay to drive the latest Ferrari to hit the streets of NYC. If you are a car enthusiast, we couldn’t think of a better way to spend your weekend. This beautiful Ferrari can be delivered to your doorstep in New York City, Long Island, Brooklyn, Manhattan, Rumson, Greenwich, New Canaan, Montauk, Southampton Beach, and any part of New Jersey. Take your vacation or business trip to the next level with a Ferrari rental at Luxury Car Rental USA.